Specialist bulk hauliers delivering locally and nationwide. Our fleet of 20 modern bulk tipping lorries with net weights of up to 29 tonnes are both TASCC and FORS registered. Providing a prompt and reliable service. Modern satellite tracking systems and telemetry provide detailed updates, ensuring effective communication and reassurance for both customer and delivery point. 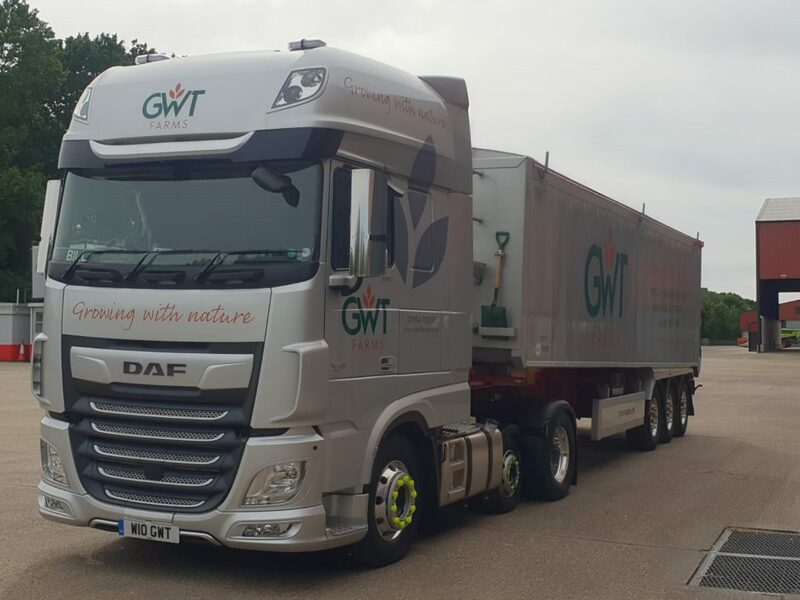 Our dedicated team of drivers are committed to delivering a high level of service, and acknowledge the requirements for temperature controls, airflow circulation and load security. Maintaining high standards for safety is paramount, and all our fleet are fitted with colour reversing cameras. 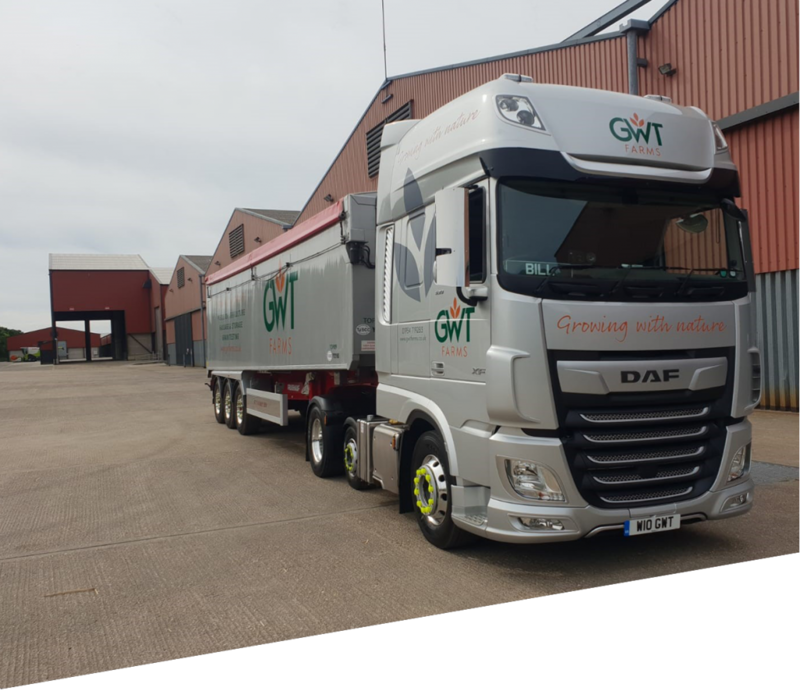 GWT Farms Ltd employees are Driver Skills trained for site health and safety, and are certified to ADR standard. 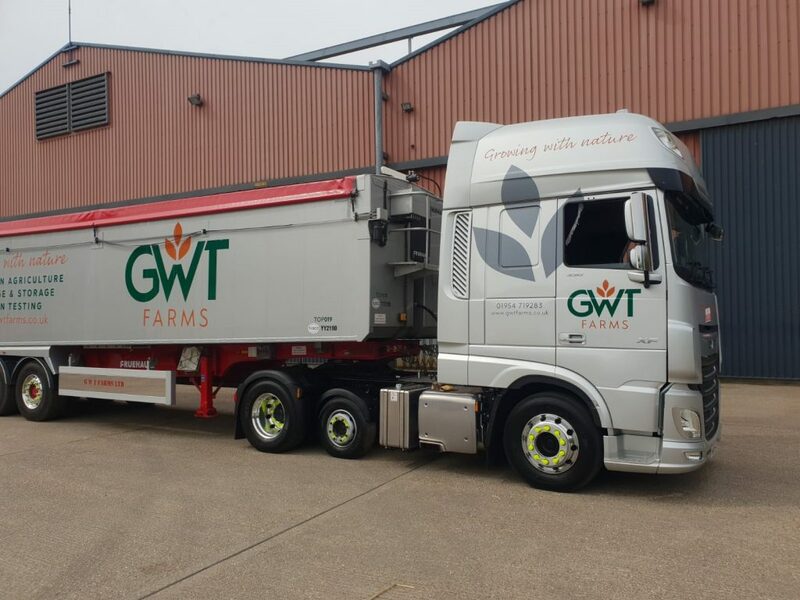 The fleet complements our farming operations and can haul straight from the combine in the field, directly to our modern storage facilities, coinciding with specific grain contracts. These are obtained through our relationships with grain merchants and commercial stores. If you have questions regarding any item listed here or relating to our haulage services, please do not hesitate to get in touch with us.